Siemens, global leader in drive technology, has released its latest generation of medium voltage drives. The Sinamics GH180 line incorporates a newly designed power cell with a reduced part count that increases unit reliability and reduces space requirements. The new drive delivers a number of advantages and improvements. The drives are suitable for new and retrofit installations because of their compact size. A range of models cover applications from 300 kVA through 18,000 kVA. A datasheet is included below that provides more detail. Share your motor drive challenges and applications with a product specialist and combine your process and facility knowledge with their product application expertise to develop effective solutions. 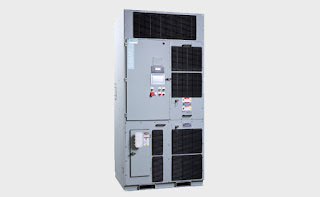 Next Generation Medium Voltage Drives from Instrument Specialties, Inc.